In Germanic paganism and its subset, Norse paganism, Freyja is a major goddess, sister of the fertility god Freyr and daughter of the sea god Njörðr. She is described as the fairest of all goddesses, and often seen as a Norse fertility goddess. In the Eddas, she was portrayed as a goddess of fertility, love, beauty, and attraction. People prayed to her for happiness in love. 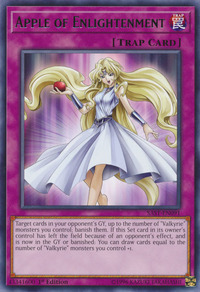 She was also a goddess of war, battle, death, magic, prophecy, and wealth. She is cited as receiving half of the dead lost in battle in her hall Fólkvangr, whereas Odin would receive the other half. In Värend, Freyja could also arrive at Christmas night and she used to shake the apple trees for the sake of a good harvest and consequently people left some apples in the trees for her sake. Moreover, it was dangerous to leave the plough outdoors, because if Freyja sat on it, it would no longer be of any use. 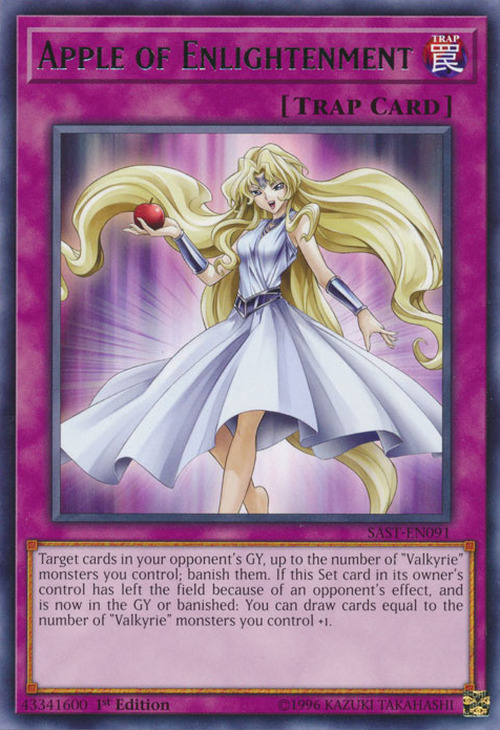 The goddess on this card should actually be Idun, the Norse goddess whose apples bring the gods eternal youth.